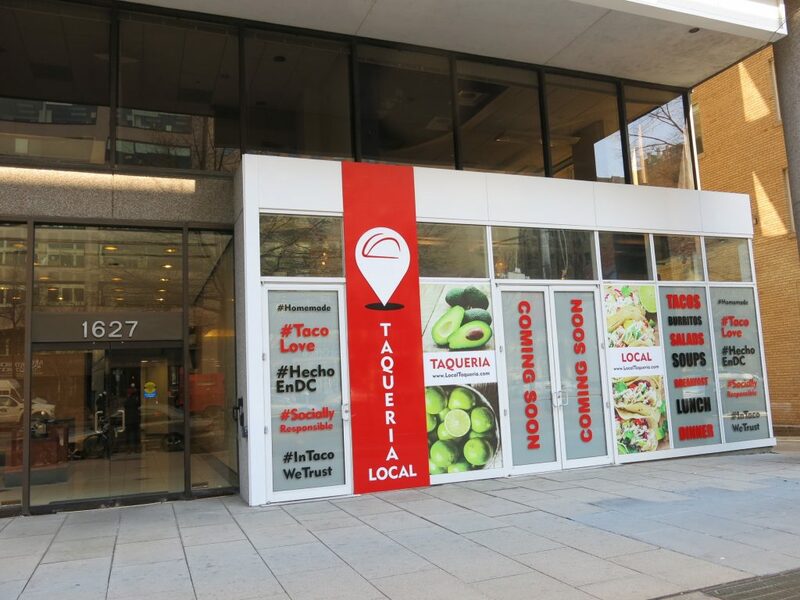 “Putting an innovative spin on Mexican classics, Taqueria Local, downtown D.C.’s new artisanal taco restaurant, will arrive with a mouthwatering menu of tacos, tostadas, burritos, salads, sides and soups, as well as a handful of desserts, in March. Just like owner Antonis Karagounis’ other D.C. establishments — Echostage, Decades, Barcode, Ultrabar, Soundcheck and L8 — Taqueria Local is an authentically homegrown concept that’s sure to become one of Washington’s instant foodie favorites. Karagounis and partner Arman Amirshahi, who has nearly 25 years of hospitality experience, have tapped their longtime chef, Giovanni Orellana to helm the new eatery, which mixes modern, fast-casual vibes with the appeal of a classically authentic Mexican restaurant. In addition to its extensive food menu, Taqueria Local will also serve a variety of Mexico’s iconic aguas frescas, bottled Mexican sodas, flavored margaritas, beer and wine. Taqueria Local marks the initial management venture for Orellana, a D.C. food prep veteran from El Salvador with more than 14 years of experience and stints at Ceviche, Lima, Pesce, Posto and most recently, Barcode, on his extensive resume. In fact, Orellana’s weekly taco special at Barcode has regularly been one of the restaurant’s top-selling plates. Orellana’s recipes, full of the highest quality meat, produce and spices culled from local suppliers and small businesses, will highlight his long-standing connection to the D.C. metro area. Standouts on the unique menu include the incredibly flavorful “Choripapa” taco, made with spicy Mexican sausage, diced potato, avocado and sour cream on a non-GMO, gluten-free corn tortilla; the “Remolacha” vegetarian taco, featuring roasted red beet, microgreens, feta, pepitas and chipotle aioli; and the seafood-stacked Tostadas Trio with ahi tuna ceviche, mango habanero shrimp and crabmeat avocado. Other comforting craveables are the towering nachos, grilled Mexican street corn and warming tortilla soup. Plus, all of Taqueria Local’s one-of-a-kind tacos can be turned into salad creations. 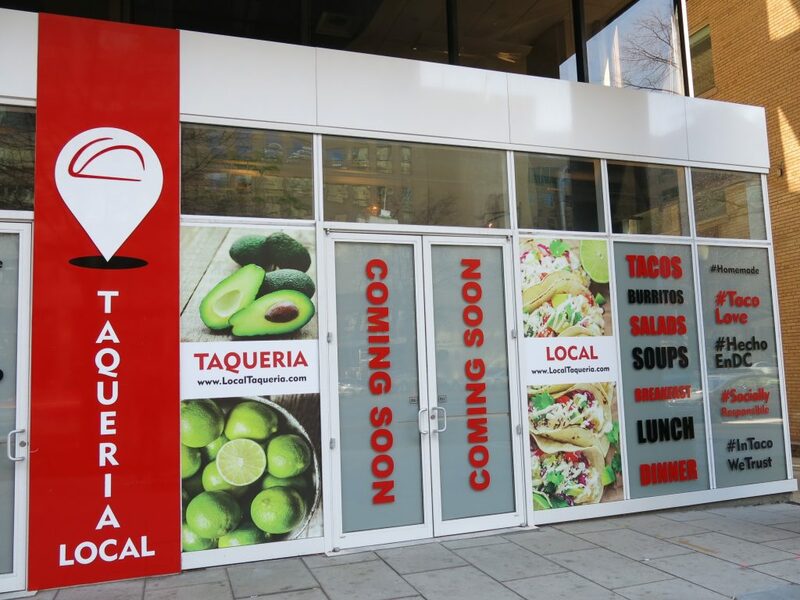 Taqueria Local, open for breakfast, lunch and dinner, is also passionately dedicated to helping people in low-income and immigrant communities in the Washington area as well as enriching the lives and incomes of its employees.